Overflowing with interviews, documentary footage and fictional recreations, voice overs both real and performed, lively animations and famous faces, Whiteley is a documentary as bold and energetic as its subject. 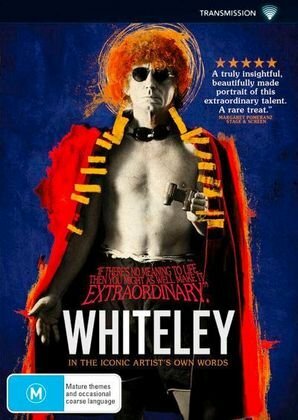 This documentary is ideal for those looking for an introduction to Australian artist Brett Whiteley. It gives a chronological account of his life and work, bringing in friends, family, and critics to comment on both. The playful layering of footage, interview, and animation parallels nicely with the man himself. For those who know Whiteley's life well, the recreations of pivotal life moments might offer a fresh perspective. Either way, director James Bogle's bombastic collage-style makes for an exciting watch. A visual journey into the life and legacy of one of Australia’s most celebrated artists, Brett Whiteley.